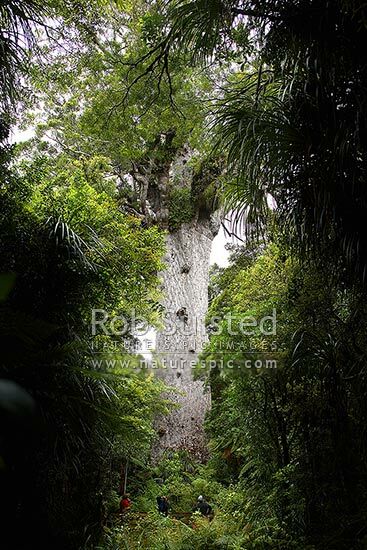 Tourists visiting 'Tane Mahuta' - largest Kauri tree in world. 50m high/13.7m girth/1500 y.o. (Agathis australis). Waipoua Forest. Tourists at base of tree, Waipoua, Far North District, Northland Region, New Zealand (NZ), stock photo.